Everything we eat affects our body and smile. Certain snacks may be good for our taste buds, but not good for our oral health. The list of the worst food for your teeth includes more than just sugary snacks. Awareness around foods that cause tooth decay can help you make better choices for your health. Plaque is a soft and sticky film full of bacteria that builds up on teeth. Bacteria thrive on the sugars in the foods we eat and produces acids that ruin tooth enamel. The acid compromises the tooth, leading to a cavity. If left untreated, the bacteria can also cause gum disease. Frequent exposure to acidic foods can ruin tooth enamel. This makes the teeth prone to decay over time. Damaged tooth enamel leads to uncomfortable sensitivity, too. Make sure to drink plenty of water after enjoying an orange, grapefruit or another citrus fruit. This will rinse away the acids left behind. But wait a little while before brushing. Brushing too soon after eating or drinking something acidic rubs the acid against your enamel. Brush after rinsing with water and waiting at least 30 minutes. If you enjoy snacking on dried fruits, keep in mind that they can get stuck on and between your teeth. This creates plaque that causes tooth decay. To lower your sugar intake, avoid varieties that have added sugar or are sweetened with corn syrup. The same advice applies to caramels, jelly beans, lollipops and hard candy. Always rinse and brush after eating. Foods like bread, chips, pasta and even crackers can be as harmful to our teeth as candy. Starches can linger in the mouth and break down into simple sugars for bacteria to feed on. Pay close attention while flossing and make sure you remove all debris stuck in between the teeth to avoid plaque buildup. Drinking your sugars is just as bad as eating them, if not worse. When consuming a soda, many of us take our time and drink it one sip at a time. This is like giving your teeth a sugar bath every 30 minutes. Plus, not only does soda contain high amounts of sugar, but it also contains its own acid, which erodes the enamel that protects your teeth. Drinks that are high in sugar, and that includes sports drinks and even fruit juice, can cause cavities to develop over time and can even damage composite fillings. Choose low-sugar drinks or stick with water. 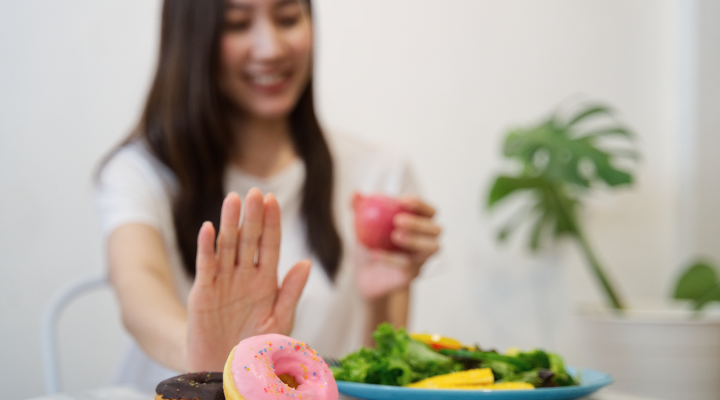 You don’t have to vow to never eat from this list again, but choose to eat them in moderation and brush twice a day for two minutes. Follow this with flossing and keep your smile free from the damages of sugar and starch.